Jim is our lead clinician with over 20 years of clinical experience. 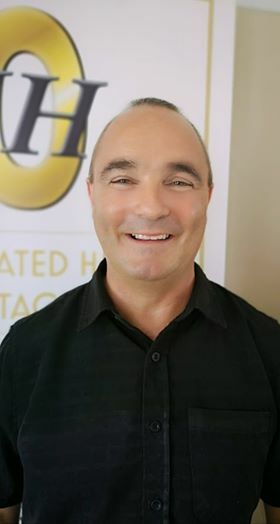 Qualified as an Osteopath, Physiotherapist and a Digestive Health Practitioner, Jim’s vision and passion to provide the gold standard health care package for every client is what drives Integrated Health Otago’s unique service. Beginning his career in the U.K.’s public sector, Jim quickly became involved in professional football – working full time in English Premiership football clubs Manchester City, Chelsea and Tottenham Hotspur. Jim was involved in Premiership football for a decade during which time he was part of the Chelsea team which took home both the FA and European Cups. Jim’s reputation for successfully treating clients with complex multi-system conditions has continued to grow, with clients travelling country wide to seek his expert assistance. Clients suffering from post surgical complications and those whose health has been compromised by disease have reported huge benefit from Jim’s unique approach to treatment. By assessing and devising a taylormade treatment plan in combination with using food as medicine, Jim continues to educate, implement multi-faceted treatments and ultimately improve the function and quality of life of his clients. As lead Physiotherapist/Osteopath at the English Institute of Sport for the North East and North West of England, Jim was the clinician responsible for both disability and able bodied elite athletes in British Cycling, Athletics, Taekwondo, Wrestling, Swimming and Squash; many of these professional athletes went on to win Olympic medals at the 2008 and 2012 Olympic games. Concurrently he was the consultant clinician for Sale Shark Rugby Football Club. Jim’s ethos of “you can never know enough when dealing with the health of an individual” led him to teach manual therapies both at undergraduate level and at Masters Level in Manipulation at the University of Otago’s School of Physiotherapy. Always striving to learn more, Jim is currently studying for his PhD at the School of Physical Education, Sport and Exercise Sciences at the University of Otago. Jim has also developed and delivered an Osteopathic Council accredited Sports Injury Course, which has been extremely successful seeing clinician’s from New Zealand attending. In the future Jim plans to extend this course to other clinicians throughout Australasia. Additionally, Jim has presented at National and International conferences to his peers in both the Physiotherapy and Osteopathy arenas. Keen to share knowledge and develop practitioners, IHO provides clinical placements for both undergraduate and postgraduate students in both clinical and sporting environments and most recently we have accommodated peers who travelled from Australia to observe Jim in action for a week! For the past 3 seasons, Jim has also taken on the role of head of the Medical Department for Southern United – the region’s National League football team. 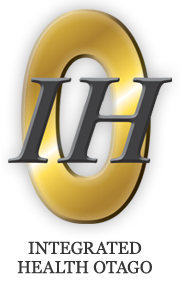 IHO provides provisions for all the men, women, youth, futsal and academy players at training, match day and in the clinical setting. His role is not only clinical, but one of educating players and parents about the importance of the correct injury management, rehabilitation, injury prevention and nutrition for elite athletes.